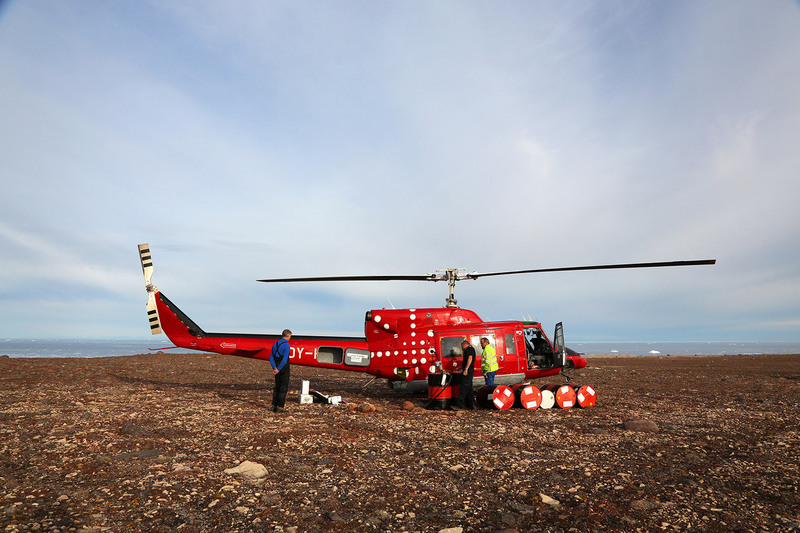 Members of the crew refuel the helicopter at a spot where they had left fuel on a previous trip in anticipation of this one. 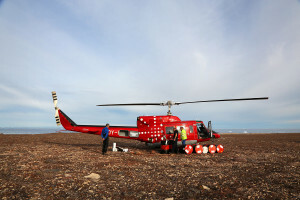 Members of the crew refuel the helicopter at a spot where they had left fuel on a previous trip in anticipation of this one. MUST CREDIT: Washington Post photo by Whitney Shefte.